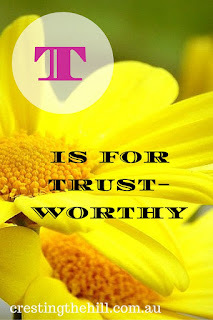 Next letter up for the A-Z challenge of Positive Personality Traits is T - and T is for Trustworthy. 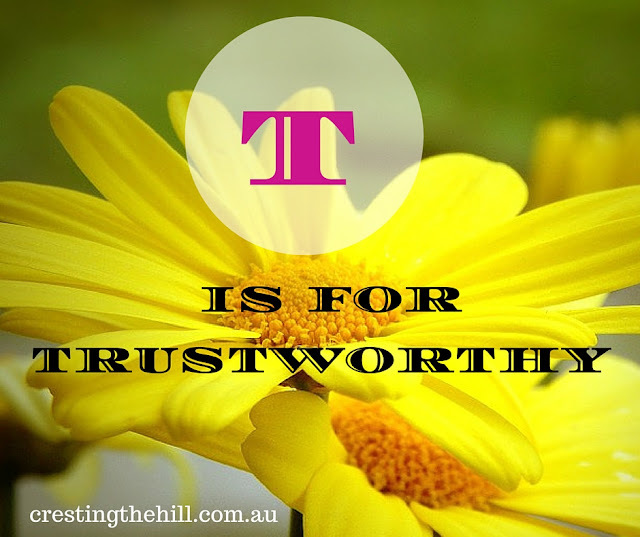 In these days of social media and one-up-manship, trustworthiness is a quality that is often pushed to the sidelines. We are never sure if someone is truly who they present themselves to be, or if they have wrapped themselves up in a glossy cover and what we see isn't necessarily what we get. Being a trustworthy person is a trait that should be high on everyone's list. Knowing that someone can be trusted to keep their word (and do what they say they will) is absolutely huge! There are so many aspects to relationships that rely on the people involved being trustworthy - think of those vows you make when you get married - how many people stay true to them and to the person they made those promises to? Promises are based on us trusting the person making the vow - we expect them to hold firm to what they have declared and to not change their mind without telling us. We trust our friends to have our best interests at heart, we trust our spouse to not cheat on us, we trust our children to behave honourably, we trust our employer and workmates to behave with respect. Trustworthy people step up to the plate and hold fast to what they say they believe - they don't fluctuate with the breezes of life. We need to be honourable and loyal people who stand by our word. We need to resist taking the easy way out if it means we are going back on what we promised. We need to have the courage to admit when we fail or break someone's trust and ask for their forgiveness. The world needs men and women who are trustworthy and dependable, marriages need those traits, friendships need them, work environments flourish when we know we're not being deceived or set up. I'd like to see trustworthiness esteemed a lot more in our world - it's a quiet and under appreciated trait and we forget how much hinges on behaving in a trustworthy manner and believing that others are behaving that way too. See you next time for the continuation of Positive Personality Traits - U is for Unique. I agree. Being trust worthy is so important trait. I think it leads to having better relationships. I agree Parul - you can't have a truly "real" relationship if there are trust issues. 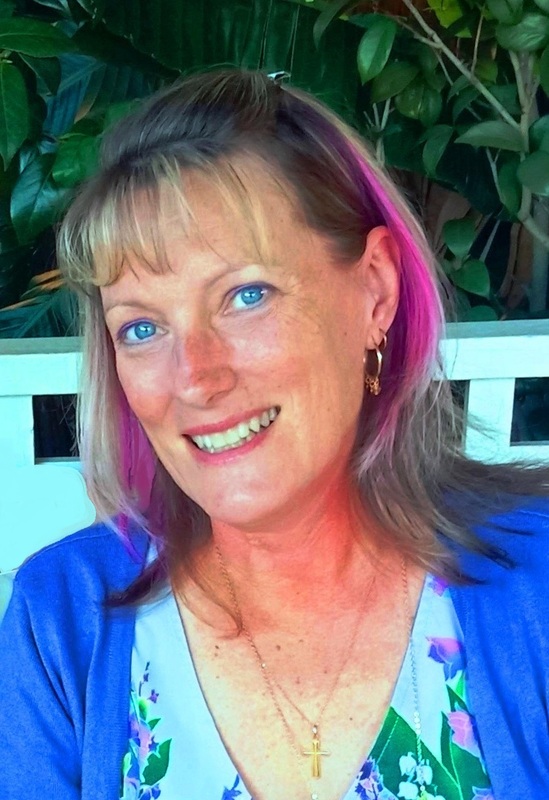 I'm so glad to read this post on trustworthiness. As you said it is a quiet under appreciated trait. Without trustworthiness we all feel as if we're living on shifting sands. I'm bookmarking your blog. It's just what I need. I'm so glad you liked this Kalpanaa - I think trustworthiness is one of the most under-rated personality traits these days and yet so much depends on it. It's sad that in todays world it's hard to find friends who you can trust! Trustworthy is a needed trait in a friend. I know what you mean Jeanne - I've found that people who you think are friends can so easily turn out to be less than trustworthy - and for me, that is the end of the friendship. Kids have a much clearer view of the simple things in life Seena - they haven't learnt how to twist things their own way yet - that comes with age and treachery! I agree. 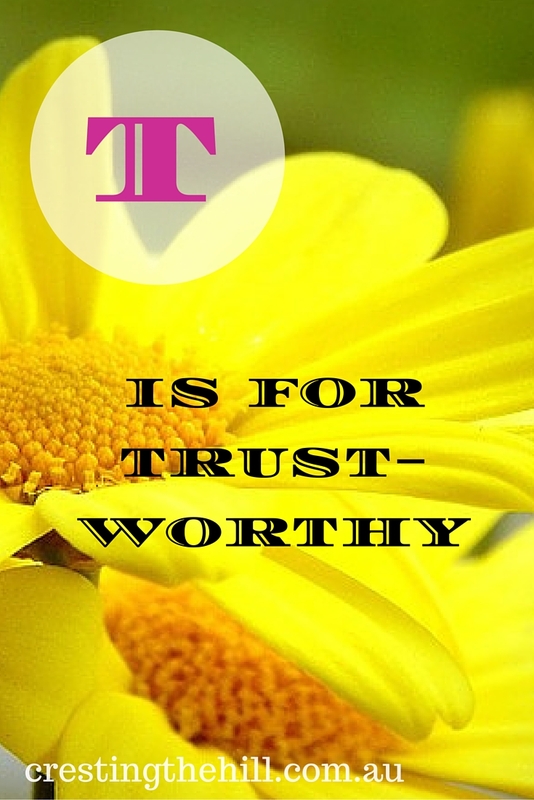 In my opinion, trustworthiness is one of the most important traits! I think so too Tiffany! This rates very high on my list, Leanne. Thanks Kala - I think trust gets more precious as we get older because we've seen people go back on their word. Once we invest our trust in someone, we expect them to behave as we would - staying true to their word. Agreed, I feel which traits are held in esteem and which are cast aside is cyclical. Head down, hard work, trustworthiness used to be all the rage. Now it is animation and creation...not follow through. I know that is more about work than relationships but it all blends...right? Yes. The world needs men and women who are trustworthy. We have to encourage people towards it. Teaching the quality of trustworthiness has taken on new meaning in these crazy days of the internet. I have three teens online and we have to constantly have discussions about the internet and who it is safe to trust. We want them to grow up to be trustworthy adults, but also we want them to be careful of who they trust. I think the internet has opened a whole can of worms for young people Erica - all the face to face issues of trust get magnified online when you don't necessarily get what you think you're getting! I'm glad my kids are older now and never had to deal with all that's out there at such a young age. I always said I wanted to be the kind of person that could leave a room. Or that allowed others to leave a room. Ethics are indeed really important Vishal - but there are a lot of people who don't value them like they used to unfortunately. You are right Leanne unfortunately. I hate the way we can't take people at face value these days and always wonder if they are who they really are. Bring back some trust I say. I know what you mean Sue - there are a lot of fake people out there who are good at putting on a face and bad at delivering what they say they will. There are a lot of people out there who are untrustworthy, but I like to think that most of them are trustworthy. Sometimes I get burned, but that's just a part of life. Except the husband and friend thing, no way! I think the closer the relationship, the more trust you have to have in the person (and the more hurt you are if that trust is betrayed). It is right beside loyalty :) and I appreciate is as much. me too Zeljka - trust, loyalty, honesty and integrity - all go hand in hand.